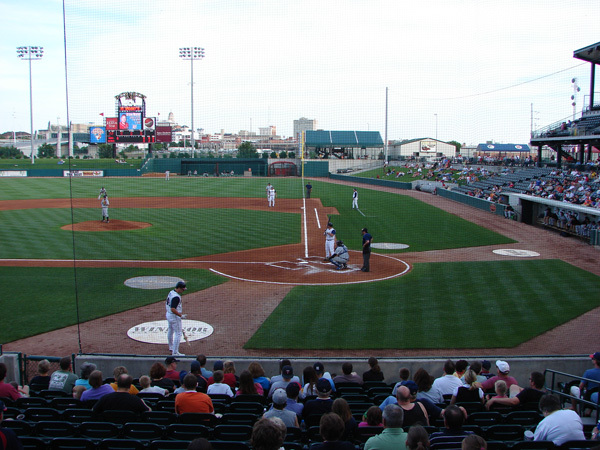 The Lincoln Saltdogs of the American Association of Independent Professional Baseball play at Haymarket Park on Hawks Field. 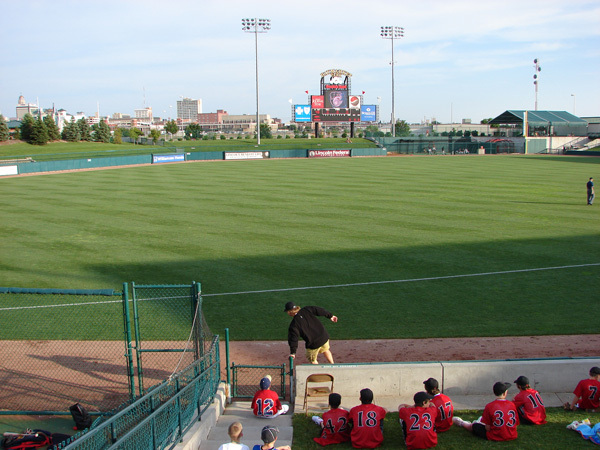 Haymarket Park opened in 2002 and seats 4,500. 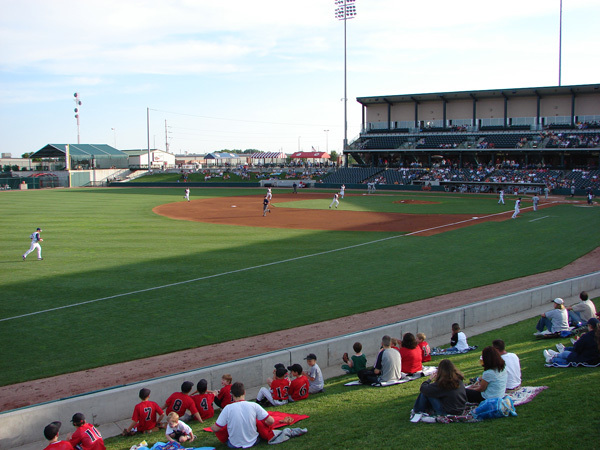 Hawks Field is shared by the Saltdogs and the University of Nebraska Cornhuskers baseball team. 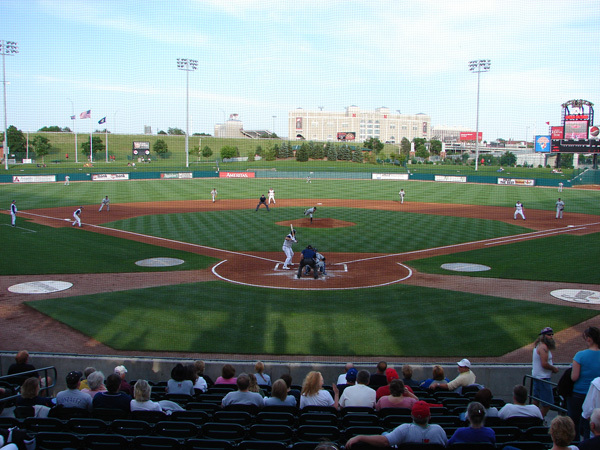 It seats 4,500 with additional seating on the baseline and outfield berms of 4,000. 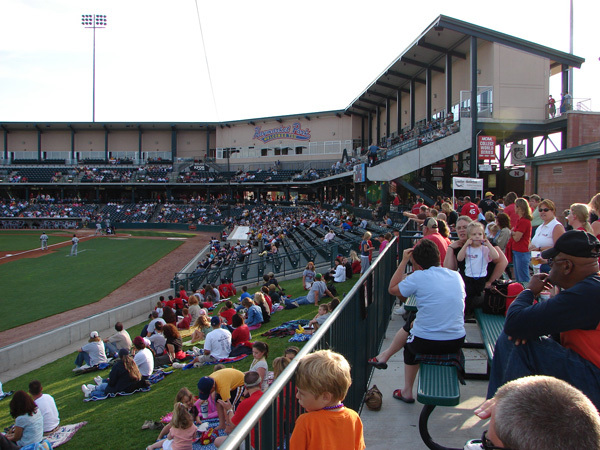 There are two levels of seating with the upper level access from stairways on the concourse. 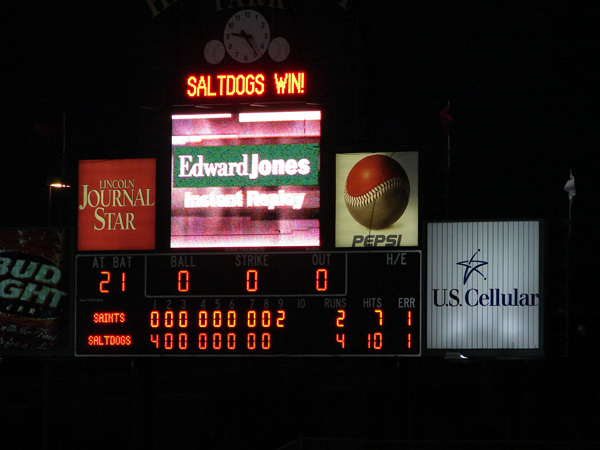 The Saltdogs were playing the St. Paul Saints. 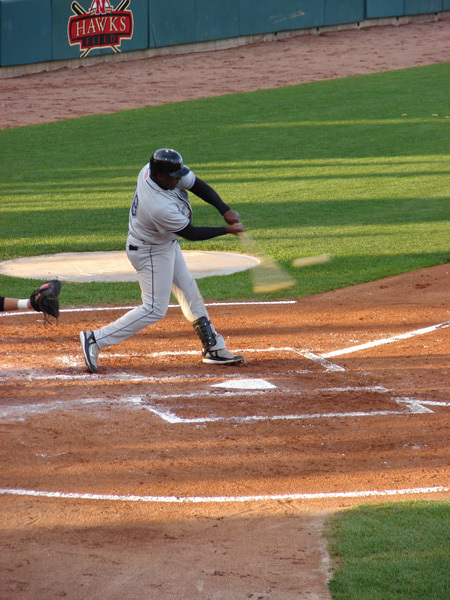 They won 4-2. 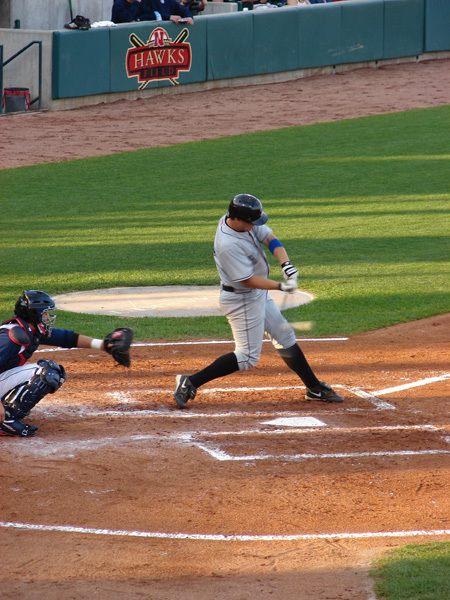 The box score was Saints R-2, H-5, E-1 amd Saltdogs R-4, H-10, E-1. 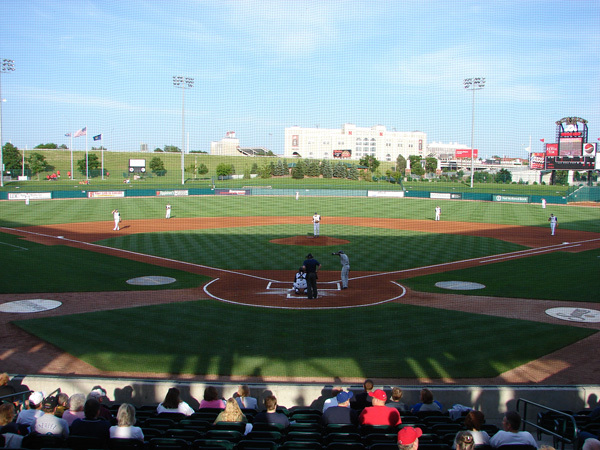 The field dimensions are RF-325', RC-342' to 400', CF-395', LC-403' to 356', and LF-335'. 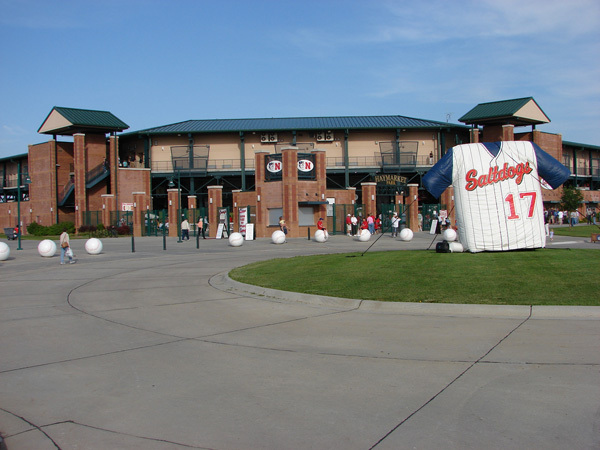 You can walk around the outfield and the batter's eye backdrop is evergreen trees. 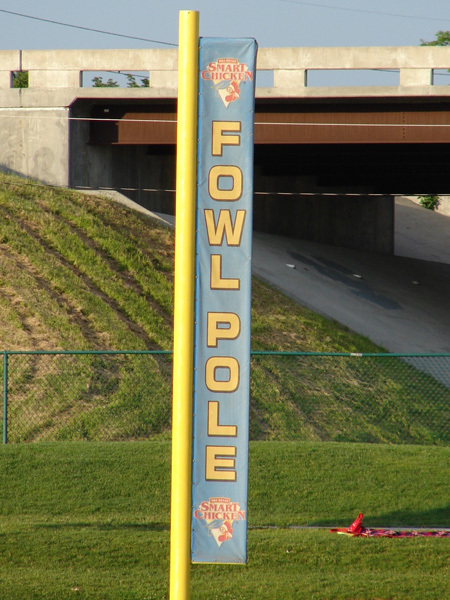 The foul poles are labeled FOWL. 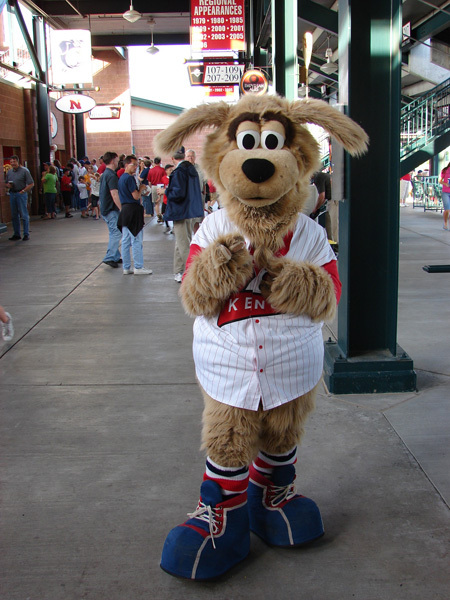 Homer is the mascot with a jersey number of K9. 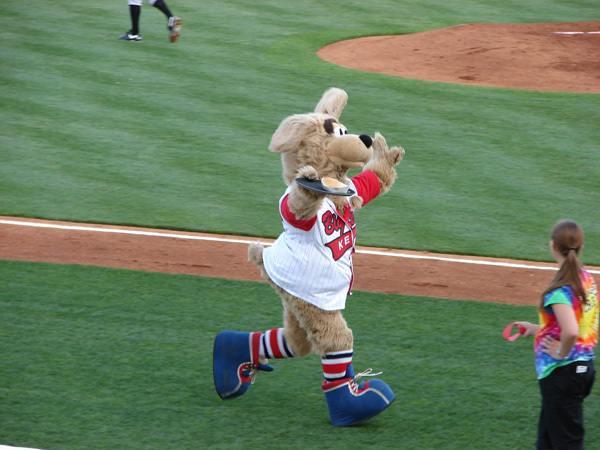 Homer performs the Homer's Burger Fetch to see which section gets a free burger voucher. Two fans raced to pick up groceries. 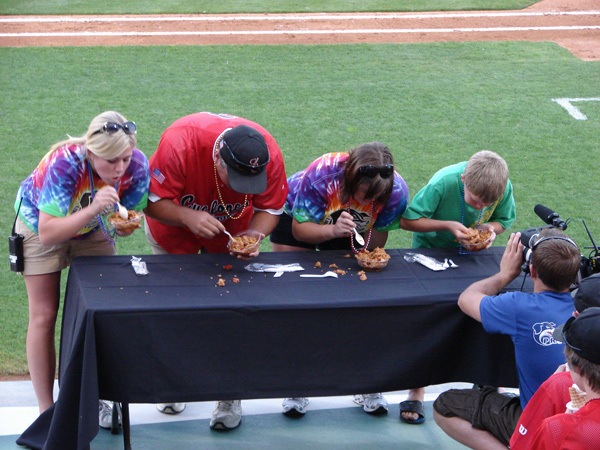 Four participated in a jambalaya eating contest. 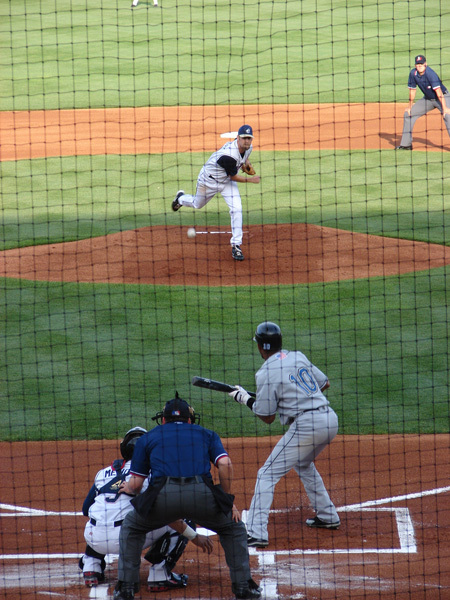 All were between inning activities. 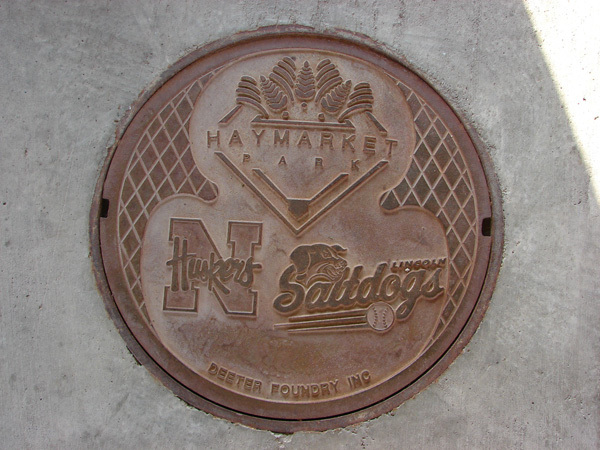 A floor grate features the Cornhuskers and the Saltdogs. 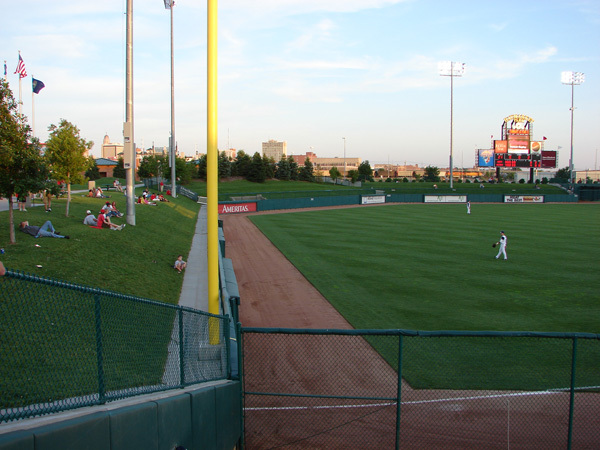 A train runs outside the right field wall. 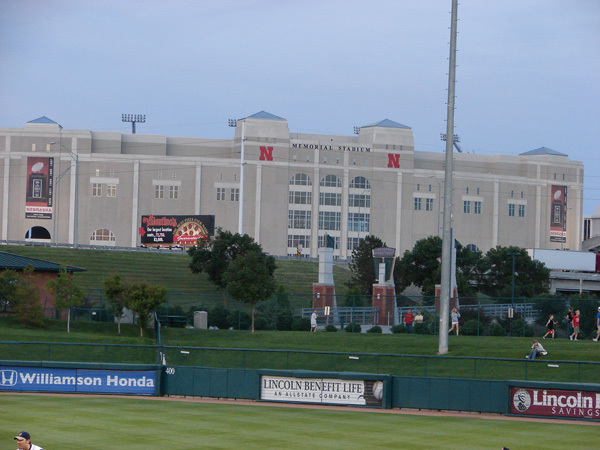 Cornhusker Memorial Stadium can be seen several blocks beyond the right field wall. 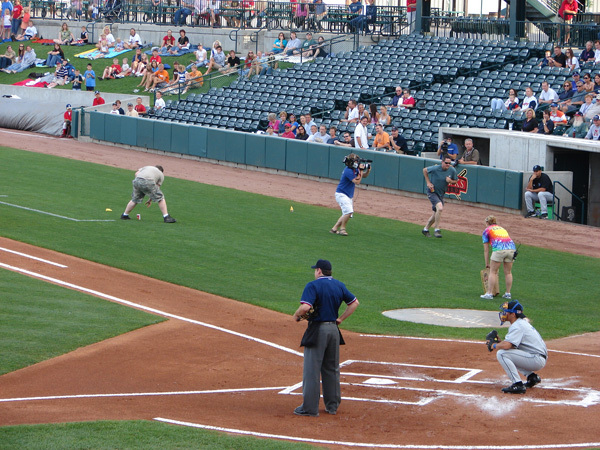 There is a great Kids Play Zone at the end of the 1st baseline concourse. 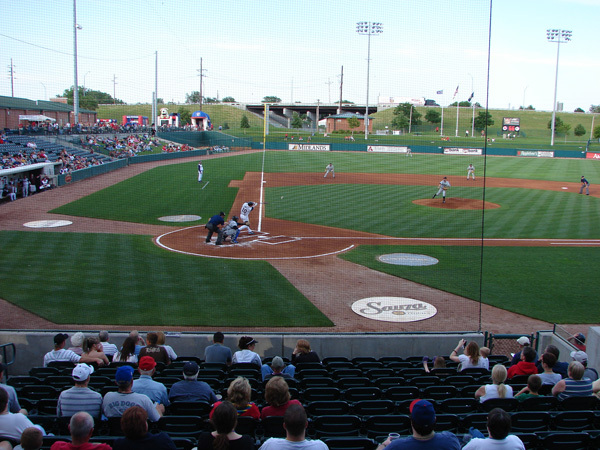 Attendance for tonight was 3,117. 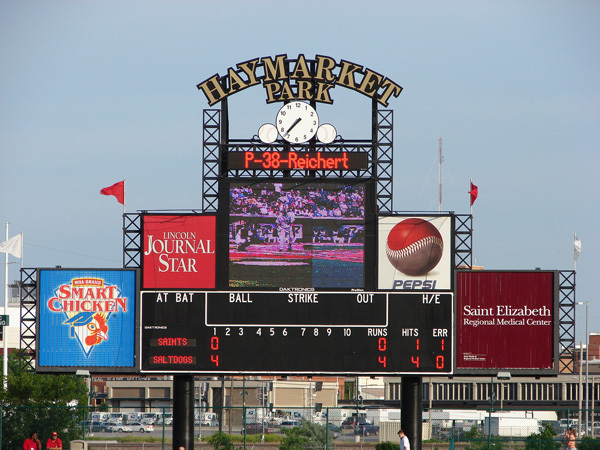 Historic Haymarket District - is a restored turn-of-the-20th-century warehouse district, which offers shops, boutiques, eateries and entertainment. 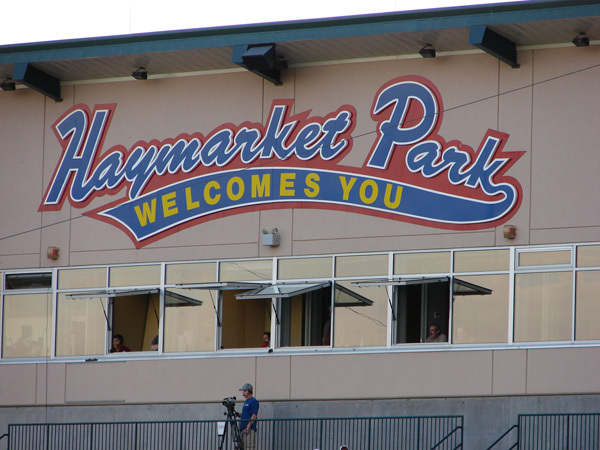 Beginning in the 1880s as an open-air market for produce and livestock, the Haymarket grew to include the post office and Lincoln's first city hall. 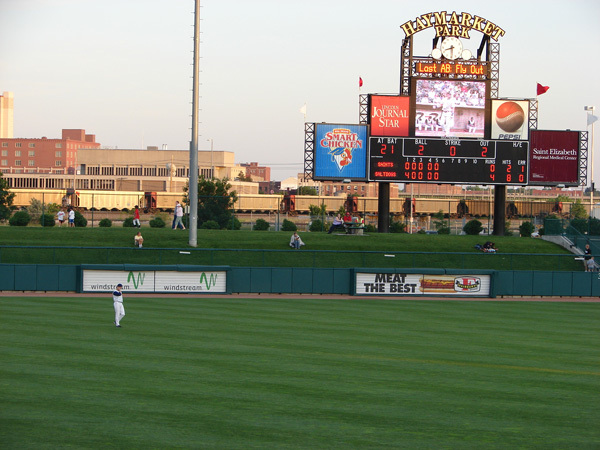 Museum of Nebraska History - features 3 floors of exhibits detailing the history of Nebraska from prehistoric days to the present, featuring displays about pioneer life, politics, education and culture. 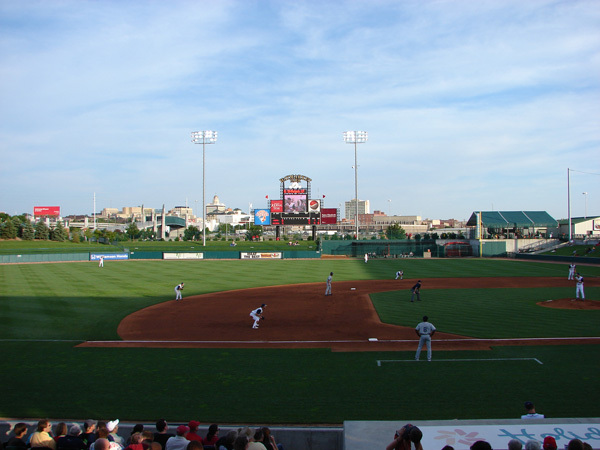 Included are life-size replicas of a Pawnee Indian earth lodge and settler's sod house. Donations.